← The Secret of Good Marketing? Give Something Back! Quentin Blake wrote and illustrated a great children’s book I used to enjoy reading to my sons. It gets three horns, a bucket of water, soap rack, bar of soap, toolbox, picnic tray, a seat for Breakspear the dog, an umbrella, a radio-cassette player, a mouth organ and finally a sail. Good software products often end up like this. They start with a simple, clear, functional concept. Then the product collides with customers and users who have wildly different needs. The product is new and we’re desperate for those early sales, and if these Early Adopters are telling us that it should have functionality, we should listen, right? “If we just put a button in here…” we say to ourselves. 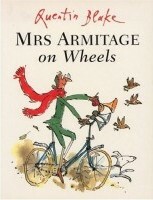 So pretty soon we’re saying; “what this product needs is…” and like Mrs Armitage’s bicycle the product grows in all sorts of different directions. What we hesitate to do is to challenge that original concept. We don’t think “maybe we shouldn’t be building a bicycle any longer; maybe we should be building something else”. There are a whole host of things stopping us doing that, not the least of which is that we’ve told lots of people (investors, grant bodies, our boss) that that is what we are building. But stop and just look at all those extra features that have been requested. What do they tell you about your original concept? What do they tell you about the market? Maybe your users see a different application for your product than you had originally imagined. Perhaps they are using it in a different context or alongside other products. Or maybe the environment has changed. A Barnacle. Those in the UK may remember Prince Charles describing a perfectly good extension to the National Gallery as a “Barnacle on the face of an old friend”. This feature definitely belongs with your product, it is just a slight extension of what it already does, but in some way it stands out as not belonging to your perfect design. Maybe it is time to reconsider the original concept and look upon your barnacle as a thing of beauty. A Billow. A “large undulating mass of cloud, smoke, or steam” (Compact Oxford English Dictionary). These features really do not belong in the current product concept, but there does appear to be an ill defined collection of them. Maybe you have a new sister product in the making here? Consider the benefits of a new product rather than a bloated old one. 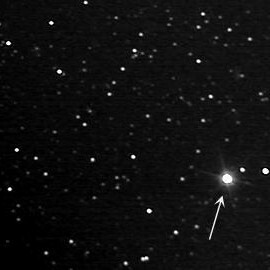 Barnard’s Star. This feature is far out. Really far out. In fact it has really nothing to do with your product other than it was one of your users that suggested it. You are really going to have to go back into the market to figure out why they did that. Maybe the are using your precious product for a completely new and unintended use. That might represent a distraction, or a gold mine. You had better find out. And buys a pair of roller skates. This entry was posted in create and tagged coaching, fun, lifecycle, product. Bookmark the permalink. “I will now betray my detail oriented map of the world and point out that Prince Charles described the extension proposal as like a ‘monstrous carbuncle on the face of a much-loved and elegant friend’. I’m afraid the alliteration seduced me into the false memory.